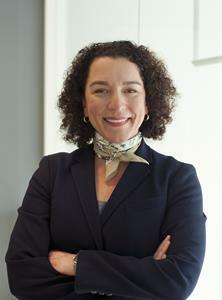 CAMBRIDGE, Mass., April 11, 2019 (GLOBE NEWSWIRE) -- Scholar Rock Holding Corporation (NASDAQ: SRRK), a clinical-stage biopharmaceutical company focused on the treatment of serious diseases in which protein growth factors play a fundamental role, today announced the appointment of Lisa Amaya Price as Senior Vice President, Human Resources. Ms. Amaya Price brings more than 20 years of experience with a strong track record of developing human resource strategies and leading talent recruitment, selection and development in the biopharmaceutical industry. Ms. Amaya Price joins Scholar Rock from Takeda Pharmaceuticals Company Ltd., where she led the organizational design and talent selection related to the company’s acquisition of Shire Pharmaceuticals. Previously, she was Global Head of Human Resources for Takeda’s vaccine business unit and led the strategic redesign of multiple functions to enable the unit to grow from R&D to commercialization on a global scale. Before joining Takeda, Ms. Amaya Price served in various positions of increasing responsibility at Biogen, Inc. from 2008 to 2016, including most recently Senior Director, Human Resources of R&D. Earlier in her career, she held human resource leadership positions at Interpublic Group, Inc., Metro International S.A., and American Financial Systems, Inc. Ms. Amaya Price received a BA from Bard College, an MA from Simmons College, and an MBA from F.W. Olin Graduate School of Business at Babson College. This press release contains "forward-looking statements" within the meaning of the Private Securities Litigation Reform Act of 1995, including, but not limited to, statements regarding the ability of new executives to influence Scholar Rock’s progress, Scholar Rock’s ability to develop its pipeline, and Scholar Rock’s growth expectations. The use of words such as “may,” “might,” “will,” “should,” “expect,” “plan,” “anticipate,” “believe,” “estimate,” “project,” “intend,” “future,” “potential,” or “continue,” and other similar expressions are intended to identify such forward-looking statements. All such forward-looking statements are based on management's current expectations of future events and are subject to a number of risks and uncertainties that could cause actual results to differ materially and adversely from those set forth in or implied by such forward-looking statements. These risks and uncertainties include those risks more fully discussed in the section entitled "Risk Factors" in Scholar Rock’s Annual Report on Form 10-K for the quarter and year ended December 31, 2018, as well as discussions of potential risks, uncertainties, and other important factors in Scholar Rock’s subsequent filings with the Securities and Exchange Commission. Any forward-looking statements represent Scholar Rock’s views only as of today and should not be relied upon as representing its views as of any subsequent date. All information in this press release is as of the date of the release, and Scholar Rock undertakes no duty to update this information unless required by law.